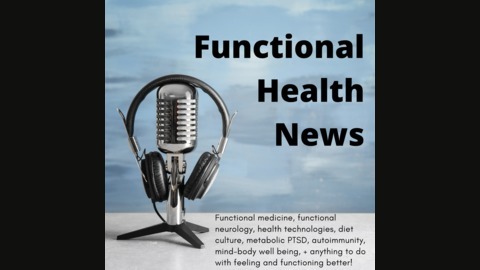 Have you heard of functional neurology but you don’t understand what it is? Or maybe you have even been to a functional neurologist but you’re still not clear what’s going on. You’re not alone! Functional neurology is a relatively new discipline showing profound results for today’s ever increasing issues with brain disorders. 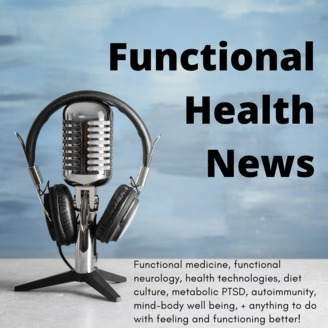 This podcast features functional neurology patient education interviews about non-pharmaceutical, non-surgical approaches to rehabilitating brain-based disorders. Download this podcast Dr. Aristo Vojdani is back to explain some fascinating basics about food sensitivities and oral tolerance. For instance, did you know dental cavities and gum disease can increase your risk of food sensitivities and autoimmunity? Or that eating the same food too often can weaken your immunity? You’ll learn about "nature’s vaccine" — secretory IgA (SIgA) — that will make you want to become an SIgA warrior so you can stay healthier, enjoy a more diverse diet, and maintain healthy immunity. Dr. Vojdani explains Cyrex Labs’ Array 14 screen of mucosal immunity (SIgA) and how to make sure your SIgA levels are healthy prior to testing. Dr. Vojdani's bio: Aristo Vojdani, PhD, MSc, CLS, obtained his MSc and PhD in the fields of microbiology and clincal immunology from Bar-Ilan University in Israel with postdoctoral studies in comparative immunology at UCLA and tumor immunology at Charles Drew/UCLA School of Medicine and Science. He is an Adjunct Associate Professor in the Dept. of Preventive Medicine at Loma Linda University in California, and an Adjunct Professor at the Lincoln College of Professional, Graduate and Continuing Education at the National University of Health Sciences. His ongoing research focuses on the role of environmental triggers in complex diseases. Dr. Vojdani's research has resulted in the development of more than 300 antibody assays for the detection of autoimmune disorders and other diseases. He holds fifteen US patents for laboratory assessments of immune disorders associated with the brain and gut, has published more than 170 articles in magazines and scientific journals, and has just published the book "Neuroimmunity and the Brain-Gut Connection" with Nova Science Publishers. He is the CEO and Technical Director of Immunosciences Lab in Los Angeles, California, and is also the Chief Scientific Advisor for Cyrex Labs in Phoenix, Arizona. Dr. Vojdani sits on the editorial board of five scientific journals. Over the years he has received the Herbert J. Rinkel Award, the Linus Pauling, PhD Award, and the F. R. Carrick Research Institute’s Lifetime Achievement Award.